The Davos Blog-Takeover continues with this piece from Professor Ozlem Onaran, Director of the Greenwich Political Economy Research Centre. I wanted to publish a blog from Özlem as her work into inequality and globalisation is becoming more and more relevant in the current economic climate. Starting from the World Economic Forum’s concern with global inequality, Professor Onaran explains how recent economic research indicates a positive role for public investment in GDP growth across the EU and G20 nations. Rising inequality is not a necessary outcome of higher growth rates, intelligent reform can deliver progress towards equality and better growth rates than our current economic model. According to the World Economic Forum’s (WEF) annual global risks report, rising income and wealth disparity and the polarisation of societies are among the biggest risks to the global economy in 2017. The organisation has been pointing out the dangers of inequality for more than a decade without much policy action. For sustainable and egalitarian development with decent jobs, we need to mobilise all of the tools of economic policy and in particular public investment with an aim to achieve full employment, ecological sustainability, and equality. A mix of fiscal policy, incomes policy and industrial policy can ensure genuine regional convergence and social cohesion globally. A coordinated policy mix is also important for lowering carbon emissions via green investments or improving gender equality via public spending in social infrastructure. Furthermore this policy mix is more effective when it is coordinated at a global scale rather than implemented in isolation, as we have shown in a model for the G20 economies. In our recent research, we present the impact of a coordinated policy mix of increased public investment together with more progressive taxation and labour market policies to improve income distribution. Based on an econometric model for individual EU Member states, we simulate a policy scenario of a simultaneous increase in public investment by 1% of GDP along with more progressive taxation (increasing effective tax burden on capital by 1% and decreasing tax burden on labour by 1%) and an increase in the wage share by 1% of GDP in each country. The result is 6.64% higher GDP in the EU. Even private investment increases by 1.46% as a ratio to GDP; i.e. public spending does not crowd out but rather crowds in private investment. Despite public spending the increase in tax revenues due to not only a rise in taxes on capital but also higher growth ensures that budget balance improves in Europe (by 0.8% as a ratio to GDP). Growth, private investment and budget balance improves both in the periphery and core countries of Europe. Hence wage-led and investment-led growth are complimentary, feasible and sustainable. Rising inequality is not an unavoidable outcome of technological change or globalisation but is affected by economic and social policies. Further research has estimated that policy measures such as increasing the minimum wages, changes in labour market and collective bargaining legislation to increase the bargaining power of unions or an effective enforcement of equal pay legislation to increase gender equality may help to offset the negative impact of technological change or globalisation on the wage share. A properly designed public investment and industrial policy also needs to be complemented by a corporate governance reform to reinstate the missing link between private investments and profits. Despite increasing profits private investment remained weak in the world as firms directed their profits to financial speculation. Not only high dividend payments but also increasing financial revenues of firms due to their surging financial activities crowd out private investment in physical machinery and equipment. Perversely financial activities do not provide more funds for productive activity. According to our econometric estimations by using firm balance sheet data in Europe the rate of investment by the non-financial corporations would have been 27% higher without the rise in interest and dividend payments, and 10% higher without the crowding-out effect of increasing financial incomes. Under the guidance of a macroeconomic policy framework focused on full employment and equality, shareholders themselves could reorient their choices towards long-term investment and sustainability once again. 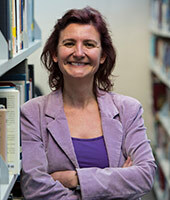 Özlem Onaran is Professor of Economics at the University of Greenwich and the director of the Greenwich Political Economy Research Centre. She has done extensive research on issues of inequality, wage-led growth, employment, globalization, gender, and crises.